I am not adhering to my recent promise of more concise blog posts. 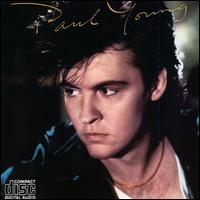 Around a thousand words on the Smiths, 750 on Phil Collins and over 1200 on Paul Young. Well, I could argue that everything needs to get in there one way or another, but you could equally counter-argue that this is not The Key To All Mythologies. So be it. I had little idea how to deal with the proliferation of compilations that still await us in this tale, but from listening to Hits 2 it is clear that the novelty of the compilation was beginning to wear off. This is pop as fire sale. Where the first Hits record had quality and direction, I am unsure what, if anything, this latest collection of thirty-two songs is trying to tell us. What I do recall from the period is that the beginning of the year saw a lot of 1984 flops on fire sale discount, in the hope that cheapness might propel them into the charts, and that hope proved to be founded. The impression is one of arriving late at a party where all the food and drink are gone and you have only leftovers and half-asleep partygoers telling you what a fine time they had had. Some of the 1984 leftovers were very good indeed; it is baffling how records of the quality of “Solid” and “Yah Mo B There” couldn’t have cleaned up first time around. But others are not so good, and in many cases time is being marked. There are no less than four songs here from 1983, including two reissues and two remixes. There are cover versions ranging from Billy Bragg (his second consecutive number one album) to Billie Holiday. The songs here by Prince, Chaka Khan, ZZ Top and Chicago prompt no further will on my part to say anything further or different to what I have already written. In the spirit of the exercise, therefore, I propose to cannibalise my previous writing and recycle the thoughts that they express, and which have not noticeably changed in the years (or, in some instances, the decade) since I wrote them. If 1985 was New Pop's 1974, then Pete Burns was New Pop's Alvin Stardust, and not simply because of the Pete Waterman connection - both veterans of a previous era, both hitching a belated ride on the rapidly defuelling gravy train. Older and considerably more resilient than Boy George - it's that Northern thing again - Burns belatedly reintroduced a notion of dagger-thrusting glamour which George had by this time largely abandoned in favour of cups of tea, whining about "I hate all that Labour crap" and heroin. The production team of Mike Stock, Matt Aitken and Pete Waterman had first come to full notice some 12 months previously with a "Relax" ripoff entitled "The Upstroke" sung by some female session singers grouped under the name of Angels Aren't Aeroplanes. A big club hit, it led to further mainstream hi-NRG crossovers more indebted to "Blue Monday," such as Hazell Dean's "Wherever I Go (Whatever I Do)" (with an astonishing, apocalyptic 12-inch mix), Divine's "You Think You're A Man" and, eventually, "You Spin Me Round." Though classified as the first major product of the Hit Factory, Burns and the group wrote the song and SAW produced it pretty much in accordance with Burns' unsurprisingly firm instructions. Charting in November 1984, it proved to be yet another sleeper, hitting especially big in Scotland and the North West, but bided its time over Christmas before nudging its way into the Top 40 and thereafter hurtling to the top; the most prominent of several underperforming 1984 releases which found renewed success in the bargain basement clearance sales of early 1985. Nevertheless "You Spin Me Round" is an important transitional record, the most direct link between the fading embers of New Pop and the imminent age of SAW (and to a degree New Order) dominance. Its beats are trebly but resonant, harshly staccato and slightly crude but finally rather compelling. Over the top Burns flashes his "I"s and swims deliriously in the pre-E ecstasy palindromic roundelay of the chorus, riding a Moebius rollercoaster, with some ingenious touches of near-punctum, e.g. the bass-led descending harmonic figure linking the first chorus to the second verse possibly inspired by UB40's "Food For Thought." It falls just short of being a great pop record largely because Burns' undeniably fulsome operatic tenor sometimes falls through the Tom Jones trapdoor of knicker-happy pomp (for instance, on the line "I've got to have my way now, ba-BEEEEEE") and at other times he grits his teeth too hastily (the sneer on "You look like you're lots of fun"). But "You Spin Me Round" was undoubtedly the liveliest number one since "I Feel For You" and in the light of the dour drear which would characterise much of the rest of 1985's upper reaches, its blue glow was as near to the carrying of a New Pop torch as was likely to be discovered. 1985’s equivalent of Ed Sheeran’s “Sing.” He has a full band, complete with slap bass and horn section, and somehow I think that wasn’t the original idea. “Things” is the usual panacea with a “funk” interlude which is more Tony than Herbie Hancock and bearing all the persuasive oomph of a Special K commercial. Join Weightwatchers and lose £££! Could have been on the soundtrack of Buddy’s Song but always far more interesting than his residual image would have you think. I haven’t disliked any of his contributions to TPL thus far. In fact, I rather like him. It took the Jackson 5 three-and-a-half years to move from “I Want You Back” to gluey gloop like “Hallelujah Day” but with New Edition eighteen months was enough. Here they don’t seem to get the message; they ring “twenty times,” get the voice of “some strange man,” ask the operator whether there’s a problem. I’ll tell you the problem, pal; you’re creeping her out. You can’t take no for an answer. And one of New Edition is already an apprentice jerk. Asked Bragg to write an extra verse and for the chorus to be feminised. It’s very fine like the average 1987 Smiths B-side is very fine. What else am I meant to say, or think? “The lassies who know” says the gnomic sleeve comment. Know what? 1983’s “Trees And Flowers” was a gentle, sad study of agoraphobia. “Since Yesterday,” eventually a top five hit, is part “Beach Baby” and part “As Tears Go By,” and they might have something to communicate but it’s buried beneath the trebly avalanche of a stupid producer who thought he was Trevor Horn. The only number one performed by two singing drummers called Phil with part-time solo careers - although only Collins plays drums on the record - the utilitarian video for "Easy Lover," depicting Bailey and Collins rolling up their sleeves and getting on with making the record in the studio, gave early notice of the re-emergence of frills-free "Real Music" in 1985, a catchment area which somehow managed to snare everybody from Dire Straits to Trouble Funk. No more trivial dressing up and colouring in of fading New Pop books - and, to echo my first year Home Economics teacher at grammar school, wasn't it all a bit of an irrelevance when there are people starving in Africa? "Easy Lover" accordingly "rocks" with Collins' cavernous Big Bang of percussion filtering out any subtlety or real swing - such things are left to Nathan East's occasionally inventive bass. And while it provides partial redemption for Earth, Wind and Fire never having had a UK number one single in their own right ("September" and "Let's Groove" both made #3, although Maurice White did produce Deniece Williams' "Free"), it is, like so many number ones of this period, utterly functional - it comes in, hangs about and does its job for a little while (in the case of "Easy Lover," for five minutes, although you don't really notice it) and then wanders off, leaving minds unchanged and souls untouched. It strikes you slowly and subtly – they’re trying to do Marvin and Tammi, like they should have lived to live and sing this song and mean it. You could just swim in Quincy Jones’ productions and Temperton’s chord changes, couldn’t you? Don’t understand the faith but somehow I’m persuaded to believe theirs. Clever sequencing; follow a record inspired by Art of Noise with the thing itself. But Motown’s Dazz Band actually sound marginally more alive; the music is strictly mid-eighties BBC World Cup highlights montage but there is a continuation of the brittleness of “Superstition” and the slacker work chants of Funkadelic. Whereas “Close (To The Edit)” is magisterial and glorious, and everybody should have Who’s Afraid Of…?, but the mystique was by now being steadily stripped away by endless overexposure and remixes. It is a mighty and important record but making the top ten in early 1985 was like “Heartbreak Hotel” not becoming a hit until 1958. And ZTT in 1985 was in danger of becoming as unhip, or anti-hip as 1958 Elvis. PhD's "I Won't Let You Down" was one of the great one-off hits of 1982, a Jon and Vangelis derivé which manages to become something more, especially in its hosanna of a final section when Tony Hymas' cathedral organ and Jim Diamond's pinched contralto turn it into a New Pop hymn, just the other side of yellow from the Teardrop Explodes' "Tiny Children" and the two prog rock/pub rock veterans succeed in exceeding themselves. Hymas proceeded to a curious career which involved both extensive session work and some toe-dipping in the world of improv - playing and recording with, inter alia, Lol Coxhill, Steve Beresford and Tony Coe - while Diamond, a stockily cropped Glaswegian with an alarming resemblance to Jimmy Somerville's unfunny uncle, returned as a solo artist, managing to squeeze himself into the top slot for just one week in between the heavier hitters. "I Should Have Known Better," co-written by Diamond and Graham Lyle, and nothing to do with either the Beatles or Wire, is a far more conservative proposition than "I Won't Let You Down," a fairly straight would-be power ballad - a Cumbernauld "Careless Whisper" - which with its pre-Knopfler guitar solos seems to belong in 1974. Although there are some interesting touches - the regretful, shoulder-shrugging three-step semitone descent after Diamond's "I know that you saw me...you turned away," his rueful "yeah!" in the third line of the first verse - the dominant strains are Diamond's yodel of "Ay-ay-ay-ay-ay," which unintentionally echoes in part the next number one, and his rather less attractive vocal stridency, a patch of grass somewhere between Freddie Mercury and Kevin Rowland on which you wouldn't wish to sit for more than four minutes, not to mention the completely out-of-place phlegmatic "ooh yeah!" just before his final assault. After PhD, it's a bit of a letdown. If I say that “I Should Have Known Better” is a song that Deek would love, fans of River City will understand exactly what I mean. Six years before, she’d done sixties covers and sounded like the nineties. Now she was in Europe and suddenly singing potential 1972 Eurovision entries (Luxembourg?). All quiet, no storm. Their only major hit without Lionel Richie, and better and more heartfelt than anything on Can’t Slow Down. But it wasn’t 1985’s only homage to Marvin and Jackie; there was the very touching “Only Survivor” on Bobby Womack’s So Many Rivers, wherein he also ponders Otis, Sam and others. And now there are no survivors. Get everything Womack recorded, touched or breathed on. He never did anything that was less than remarkable. The best member of Duran Duran finally got a hit, after several remixes; the best is the 12-inch of the hit version, with its “James Joyce” loop (Art of Noise, more or less). Petition idiot radio stations who stop the song before the long, menacing, Frankie’s “War”-segueing-into ending. The DC sound never quite caught on outside of certain London postcodes, which I think is more of a shame than I did ten years ago. The sleeve commentary terms go-go “a certain style which has been well known on the soul/funk/rap scene for a number of years.” Well, that’s one way of not putting it. “Who Comes To Boogie” sounds a bit timid now but Little Benny does a good square dance caller routine. Art of Noise are kind of go-go, when you think about it (and that thought would eventually lead to “Slave To The Rhythm”). But, unlike Trouble Funk’s Montreux performance of “Still Smokin’” from the same year, I could happily live out the remainder of my life without ever hearing this again. The sleevenote calls them “those fast-emerging masters of stylish dance-orientated pop.” Actually they were respectable mid-table performers for around half a decade. “More Than I Can Bear” begins with some icy Basha harmonies and a harmonically chilling, static verse but then moves back into Jimmy Young Show territory and that about sums this, and them, up. The single peaked at #50, just two places higher than the contemporaneous, WEA-released “Never Understand” by the Jesus and Mary Chain. I recently bought the 2CD deluxe reissue of Blue Rondo Á La Turk’s Chewin’ The Fat. Entertaining enough but really you had to be there, preferably watching and experiencing them live. Soulcialism! They weren’t on Respond but might as well have been. Actually “This House” might be this record’s most influential song, pointing decades ahead to the Duffys and Palomas to come. But singer Julie Hawden growls far too much, possibly to conceal some questionable pitching. Jeff Beck! Bill Laswell! What could possibly go wrong? Mick is hungry. Then he’s thirsty. The fadeout sounds like a shootout. And this was NOT his “first solo single.” That had been “Memo From Turner,” fifteen years older and infinitely superior. Even poor old Shaky couldn’t escape the power-drilling 1985 ill-lit pop skip. Same plot as “Man In The Iron Mask” but far creepier, as the singer promises to be at his cheating lover’s side “every step of the way.” I heard “Cry Just A Little Bit” earlier on this evening on the radio, a record I’d been innocently enjoying for three decades. But: “Forbidden love is never what it seems”? What the hell is going on here? Fragmentary and not very satisfying, which is much what the record offers us. What do you mean I’m nearly up to three thousand words? Damn!